Nimefurahi kujiunga timu ya Maji Safi Group! 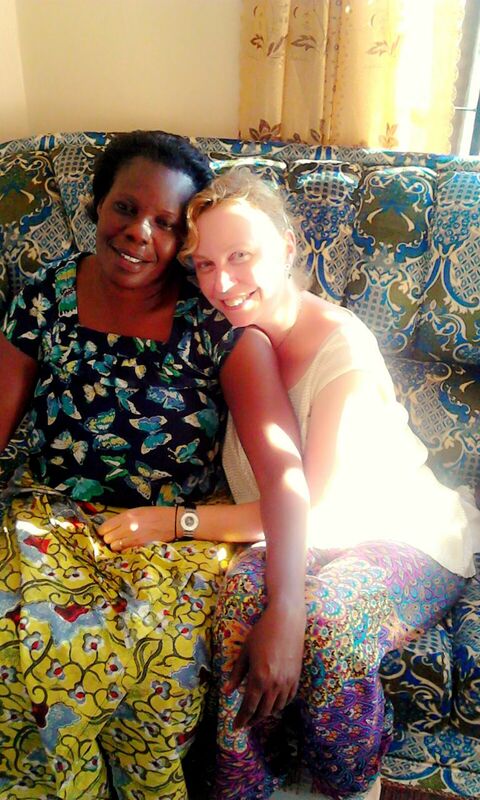 On September 3, 2014, I arrived in Shirati, Tanzania, to join the Maji Safi Group team. I am a Swiss citizen, and I am working for INTERTEAM, a Swiss NGO. Guided by the motto, “Sharing knowledge – Relieving poverty”, INTERTEAM fights for better living conditions in poverty-stricken countries while increasing Switzerland’s solidarity with people in the southern hemisphere. At the heart of the commitment, is the transfer of knowledge, skills and experience to partner organizations. To this end, INTERTEAM organizes work assignments for qualified Swiss professionals who carry out development work in Africa or Latin America. Being born and raised in Switzerland, I automatically had privileges many people around the world can only dream of: education, free choice of work, ongoing education as an adult, self-determination, having insurance for nearly everything, etc. As a young girl, I received vocational education and worked as an office clerk for my first job. While working, I studied different fields. Today, I am a Specialist in Business Organization. I am also a certified vocational trainer for apprentices. While working for many different organizations, small and big Swiss companies, as well as different international organizations, I gained a lot of experience in various fields of Business Organization – such as process, project and change management, accounting, human resources management, and facility management. Looking for a new challenge in my life, I decided to work for INTERTEAM and to share my knowledge with people who do not have the advantage of being born in a society that provides all those opportunities I took for granted. I will work with Maji Safi Group until summer 2017. I will support the team in strengthening structures and making sure that Maji Safi Group can grow sustainably on a stable foundation. While in Shirati, I will help implement systems for accounting, human resources, and compliance, help strengthen the evaluation processes, and coach staff members. As the Maji Safi Group works in a participatory way, we will do all these steps together as a team. 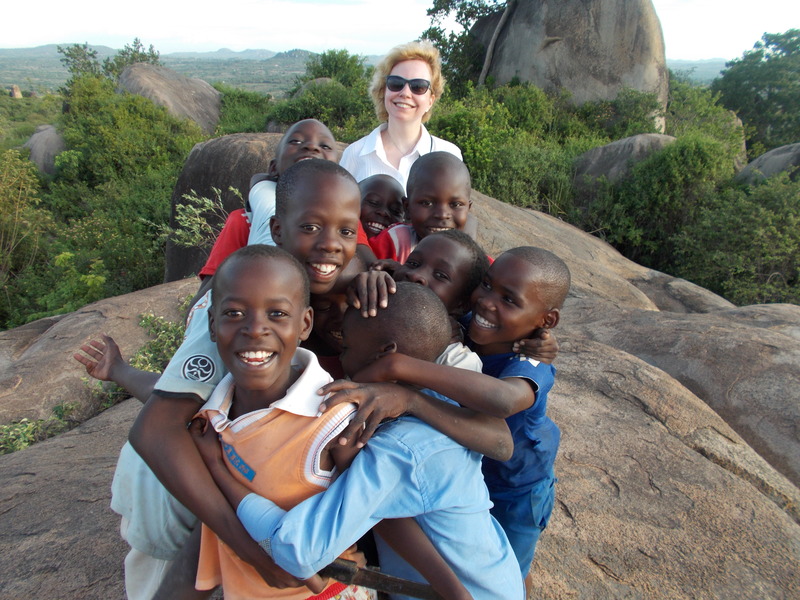 Maji Safi Group team (Susan in the far right corner). Actually, after 3 months of being a member of a team of highly motivated people, who work in the community with passion and profound skills, I am of the impression that it is me who needs to be taught the most! 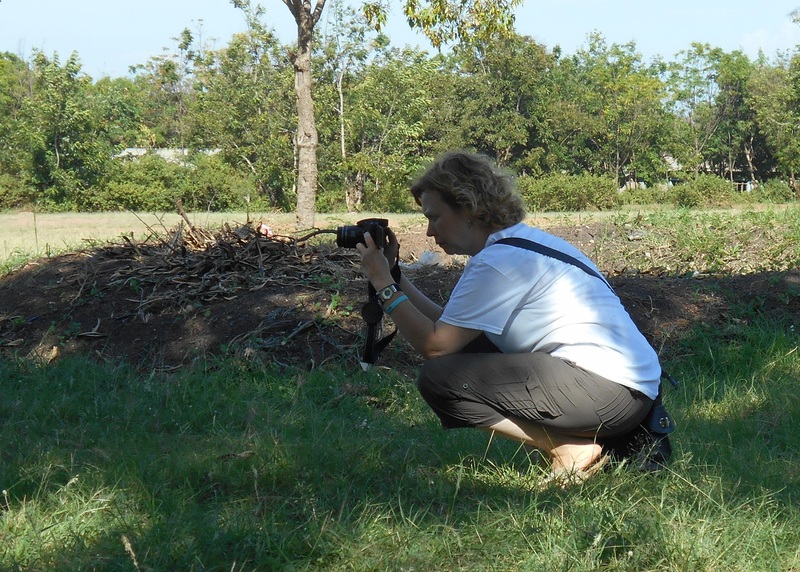 I arrived in Tanzania in July and had one week of introductions in Mwanza about Tanzanian culture and the work of INTERTEAM. 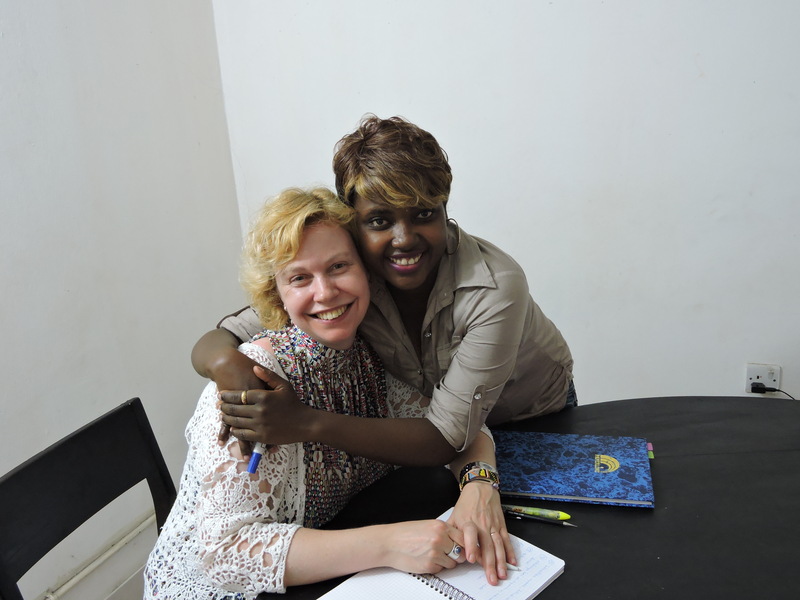 I spent the next seven weeks in Dar es Salaam to learn basic Kiswahili, the national language of Tanzania. So, I thought I would be prepared for living and working in Shirati, but life in a rural community like Shirati is completely different from being in a city like Mwanza or Dar es Salaam. In cities, you feel like a stranger, and you have to learn many things about behavior. Living in a village is completely different. 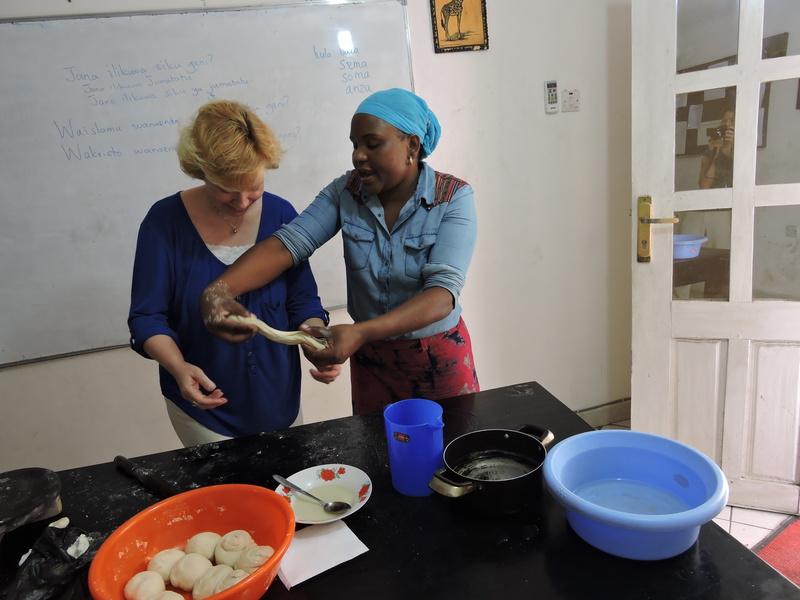 Susan learning how to make Chipati (Tanzanian fried bread). The most important thing in the village is to be part of the society and the community. 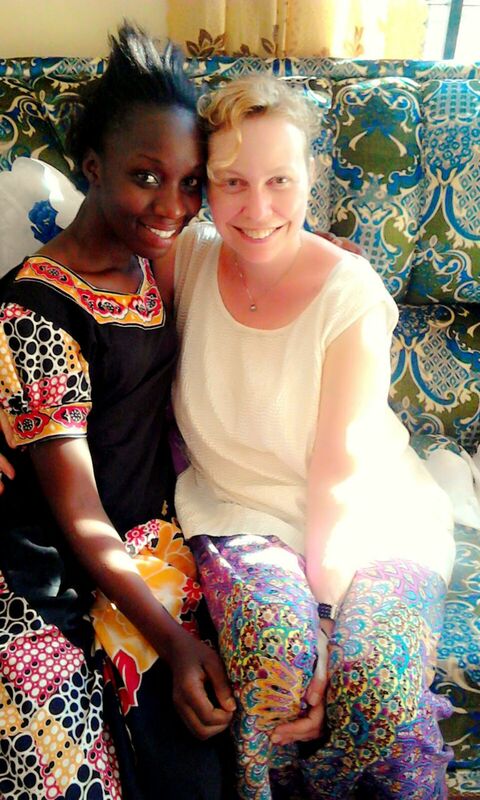 Compared to the lifestyle in places like Europe or the USA where we live as individuals, people in rural Tanzania are closely connected. So for me, living in this environment means being observed nearly all the time, being asked where I am going, asked whom I am going to meet, and when I will be back home. There are irritating situations, like visitors showing up at 8:00 a.m. on a Sunday morning, while I was still in my pajamas and drinking coffee on my terrace. That being said, I am slowly getting used to being visited without calls in advance or invitations. I will get used to my landlady knowing that I will leave for a few days – even though I have not yet told her. And, I already enjoy being welcomed by all my neighbors when I return. To finish my work and be useful, I have to learn many things about “Tanzanian work flow”. 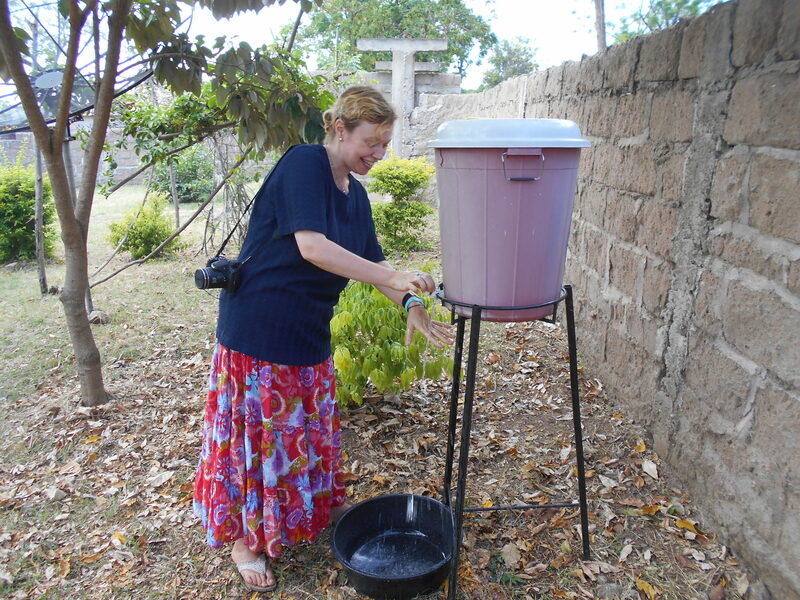 For example, accounting is a completely different task here in Tanzania. What makes the difference so glaring is the fact that accounting in Tanzania is much less computer-based than what I was used to in Switzerland. It seems to me that for every step in the process, I have to fill in at least 3 forms in 3 copies. And usually, you need carbon copy paper – I think the last time I used carbon copy paper was 20 years ago! What I really appreciate is the motivation, kindness, and patience of my colleagues at Maji Safi Group. They help me, teach me, and support me in getting used to the new ways of doing daily business. I also have support from external specialists; for example, the head of the accounting department of the KMT Hospital here in Shirati. He gave me the first introduction to the “Tanzanian way of accounting” and will help me if I struggle. I experience a lot of support at work and also in my daily life. My landlady explained my electricity bill to me (yes, even if the bill was written in English, I had no clue which figure meant what on the paper or how to pay it! ), and we have an agreement now that whenever agents from the electricity company are in town to collect the money, her son pays the bill for me, as I am usually working at that time. And one of my neighbors helps me with my household chores. I am so glad to have someone who is doing the laundry for me. I don’t know how much time I would need to wash bed sheets, as I have never done it, and I already know that task takes experience! As I have started to feel more at home in Shirati, I now wake up every morning looking forward to new challenges and surprises and to learning from the Watanzania (the Tanzanian people). http://www.majisafigroup.org/wp-content/uploads/2016/05/Maji-Safi-Logo-Clear.png 0 0 Editor http://www.majisafigroup.org/wp-content/uploads/2016/05/Maji-Safi-Logo-Clear.png Editor2015-01-08 17:45:082019-01-30 18:43:21Nimefurahi kujiunga timu ya Maji Safi Group!